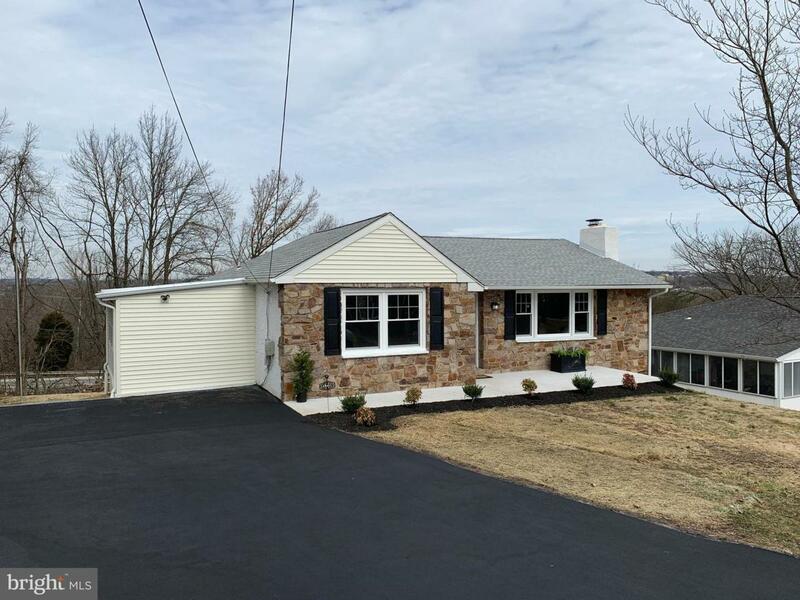 "MOTIVATED SELLER" Why not enjoy easy, care free living in this Rancher tucked away at the end of a cul-de-sac in sought after Upper Merion. This updated renovation comes with an abundance of space. 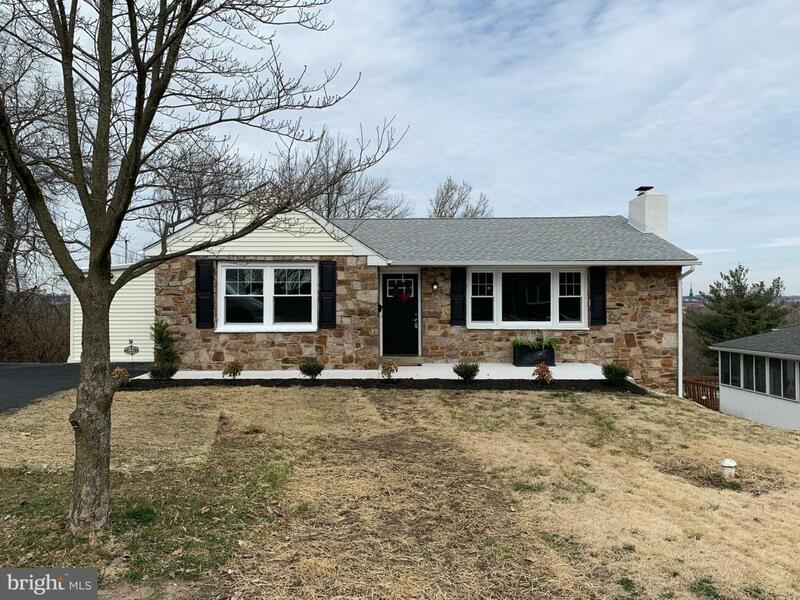 While this cutie is perfect for the downsizer or first time buyer which consists of a newer roof, newer siding, new concrete front patio and walkway, newer water heater, new AC, recessed lighting (kit/basement), new 100 amp service. From the main entrance step into the living room to be greeted with a stone, wood burning fireplace surrounded by ship lap and crown molding. which sets the coziness for the room. 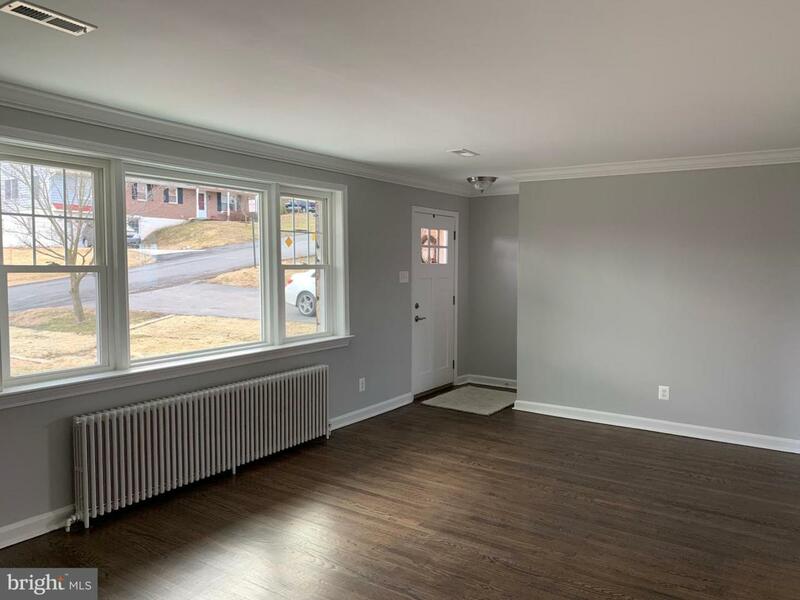 This well-lit room has a large picture window and beautifully polished original hardwood flooring and softly painted grey walls to match any decor. This cute home has a variety of new features. Walk into your new eat-in-kitchen with energy efficient stainless steel appliances, under counter lighting, plenty of counter space, rich tile flooring, classic subway tile backsplash, white cabinets, granite counter tops, and with a convenient built in pantry. With these amenities the builder also put in a laundry area on the main floor. Only steps away are three large bedrooms , all new carpets and with large closets. Your full bath is a generous size with a mosaic tile floor, linen closet, and neutral cabinetry with chrome hardware. Additional living continues when you step down to your large finished basement with a half bath. This room has a walk out to a patio for entertaining or have your gatherings inside. Don't forget there is extra storage area down there, big enough for game room, office or just bring your ideas together on this unfinished space .This property delivers low taxes and great schools, also this .26ac property has extentions possibilities. All transportation and major roads connections are close by. Only minutes away is Houser Park for all activities and the King of Prussia Mall where shopping is endless.It's a New Year and time for a new home.Make your appointment today before it's too late. AGENTS... SEE REMARKS.